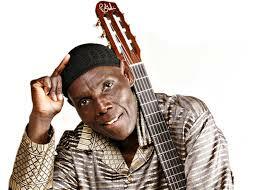 Power FM was last week Saturday the official host for Zimbabwe’s legendary superstar Dr Oliver Mtukudzi’s 7th SOLOFEST music festival which was held at Parkare Paye Arts center after a two year sabbatical. This was not the first partnership between Tuku Music and Power FM. The relationship between the two has long existed. Power FM was chosen because it is mainly in touch with the younger generation and young at heart The station is a viable platform for the SOLOFEST pioneered by Tuku as it is an event which invests in young stars and cultivate a culture of self-worth and belief within the young and up and coming stars. In an interview with Power FM Tuku pointed out that the SOLOFEST is about empowering young artists to believe in who they are. The show line-up was packed with lots of young talent who awed the crowd through terrific performances. The acts included poetry, comedy, beat boxing and singing. A total number of 19 local artistes and Zahara performed at the 7th annual SOLOFEST. After Zahara’s performance the legendary icon took time to award awards of honour to three “Legends behind legends”- sungura kingpin Alick Macheso’s wife Nyadzisai, guitarirst David Ndoro and South African guitarist Themba Mokoena. Dr Tuku’s team expressed gratitude to Power FM for the stellar work which they put up in making the event a success. Look forward to another preeminent carnival which Power FM will be officially hosting again on the 6th of October next month.